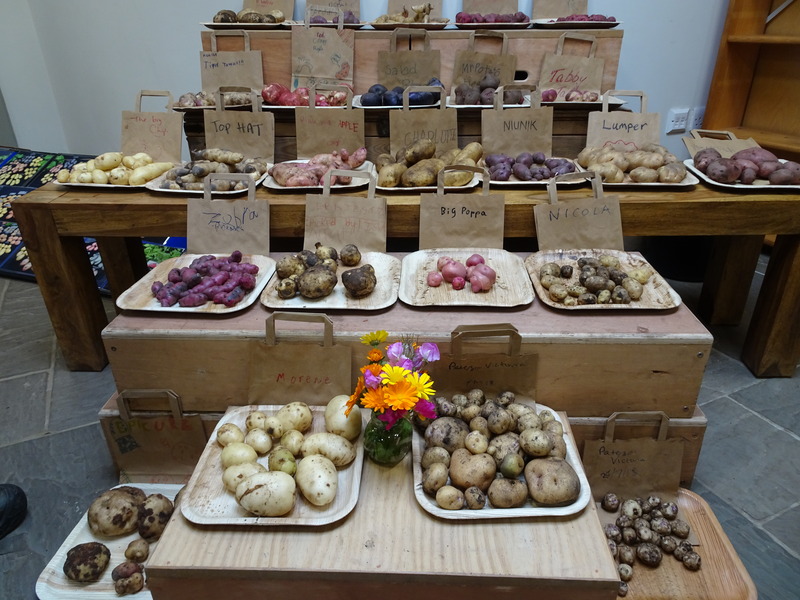 The RBGE Harvest Festival is always an incredible display of produce from gardens all over the City, but in 2018 the Botanics had an unusual contribution to the displays – potatoes from the high Andes of South America. Potatoes these days all look much the same. The familiar spherical beige tubers are pretty much all we see in the shops. In many respects ‘Lumper’ is a fairly typical potato. This old variety from the nineteenth century was heavily relied on in Ireland when late blight struck in 1845. But take a look at the potatoes for sale in rural markets in the place where this popular food originated – South America – and you will quickly realise that what we know as the potato is a pale shadow of the diversity that actually exists. Potatoes are thought to have been domesticated in the region around the border between Peru and Bolivia in the high Andes. Here they exist in an extraordinary diversity of shape, colour, pattern and even taste and texture. Slender branching tubers seen on an Andean traditional variety of potato supplied by the James Hutton Institute for the RBGE potato patch. 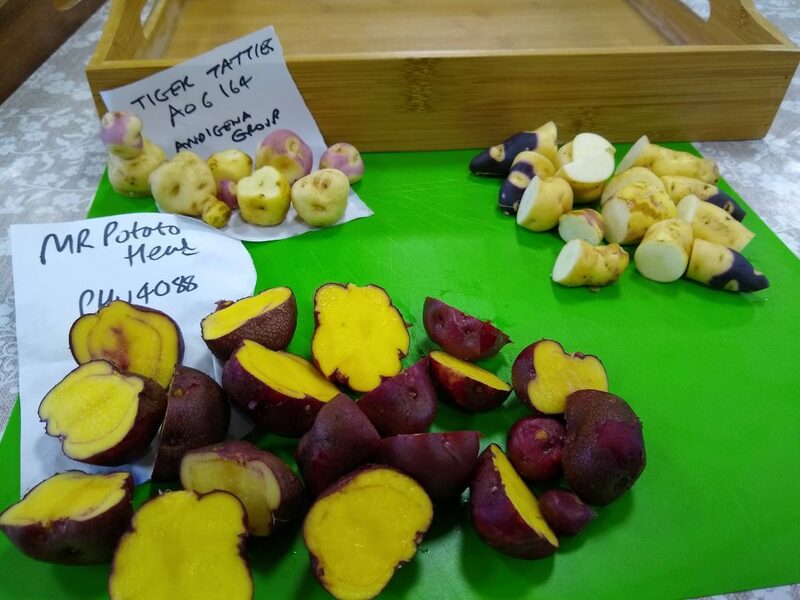 Our display of potato diversity was created with the help of the Commonwealth Potato Collection, based at the James Hutton Institute. 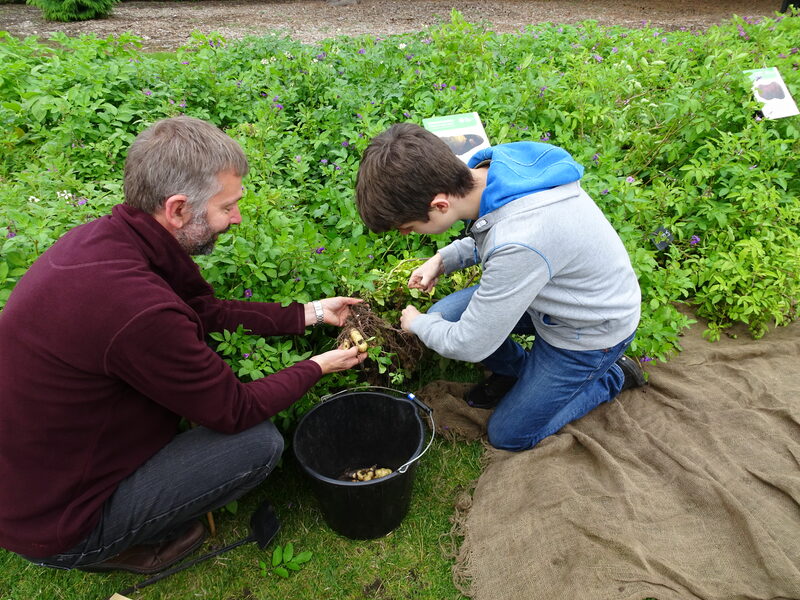 As part of the display we included a small selection of wild potato species that are in fact a key part of the collection due to their genetic diversity. 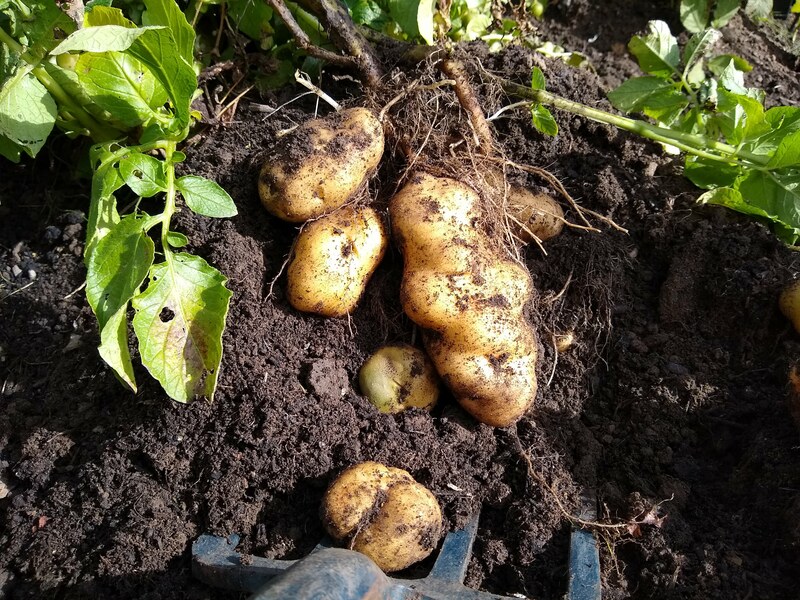 Both traditional Andean varieties and wild potato species are potential sources of useful genes that can enable our modern potatoes to resist pest and diseases and thrive under difficult climatic conditions. 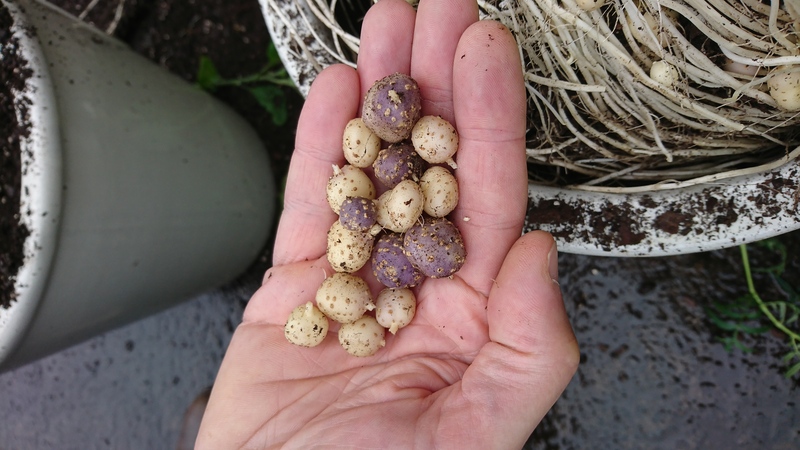 Wild potato species often produce no tubers or only small inedible tubers. This handful of tubers come from the species Solanum pinnatisectum. Digging tatties at the Harvest Festival. 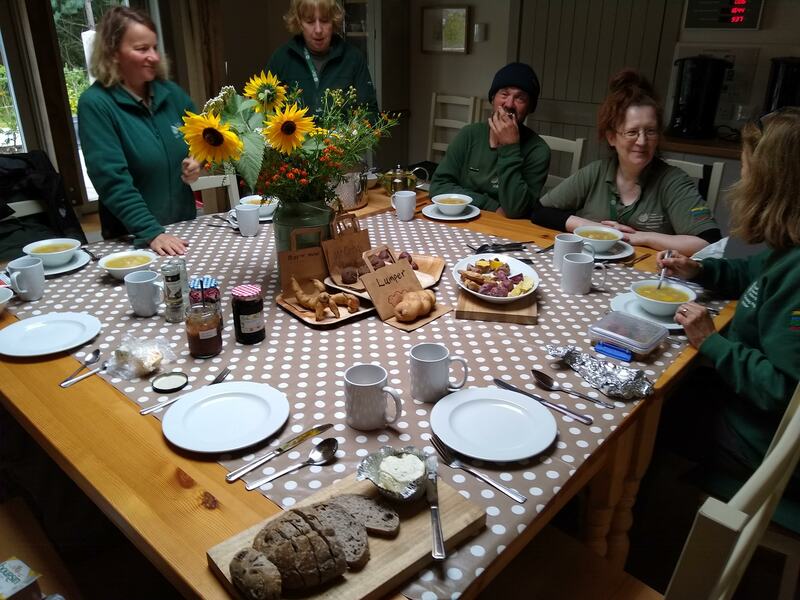 During the Harvest Festival families dug the potatoes, cleaned them with brushes and added them to a display inside the Botanic Cottage. 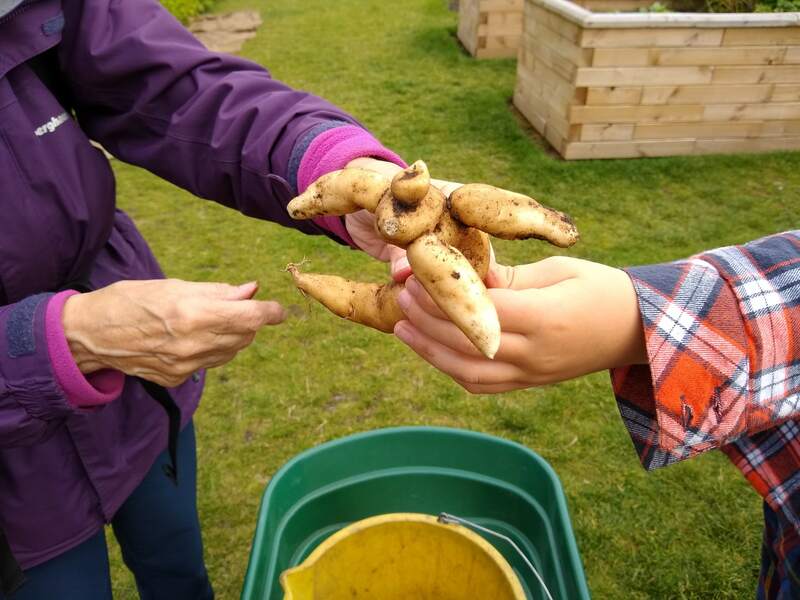 The excitement of digging potatoes for the first time will be a lifelong memory for the many people who got involved in the harvest. As is often the way, there was one that got away. Potato 4715-103-21 was harvested, and yet somehow failed to make it into the display. Maybe the people who dug it up were so taken with the red tubers striped with dark bands that they took their treasure home? 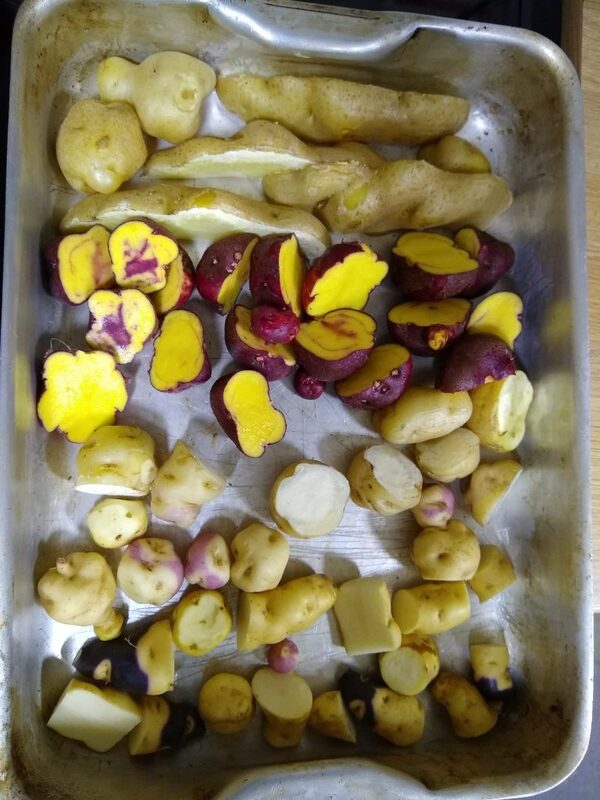 Three Andean potato varieties prepared for baking. The variety top right was named Top Hat. Cooking up harvested potatoes was part of the second day of the Festival and allowed us to begin to appreciate how the flavour and texture varies as much as the visual appearance of the potatoes. Potatoes ready for baking. The yellow-fleshed variety is in the Phureja group, which is renowed for fine flavour. 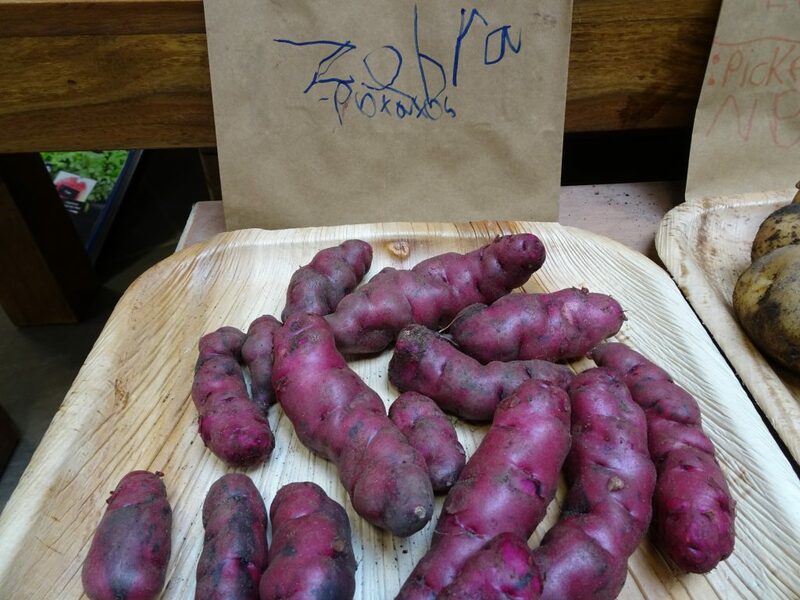 Enjoying a meal of unusual Andean potatoes from the RBGE patch. 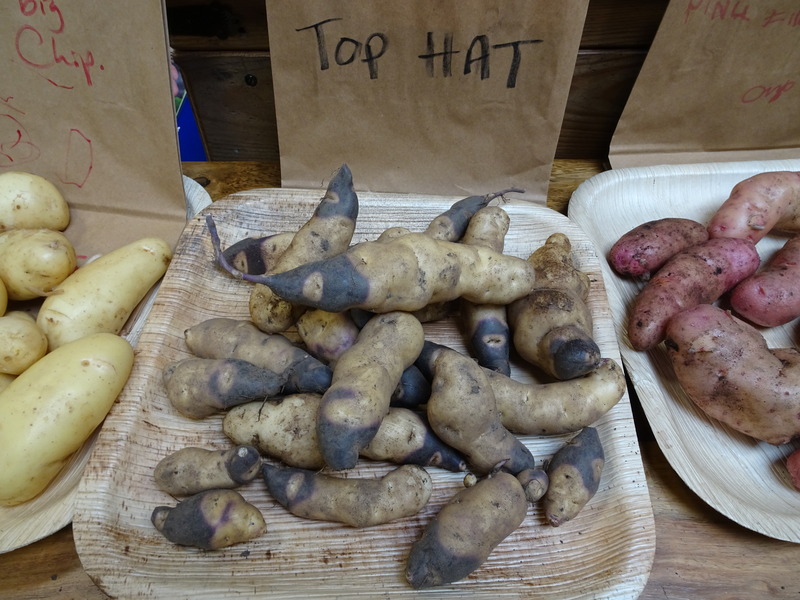 Andean potato newly named Top Hat. 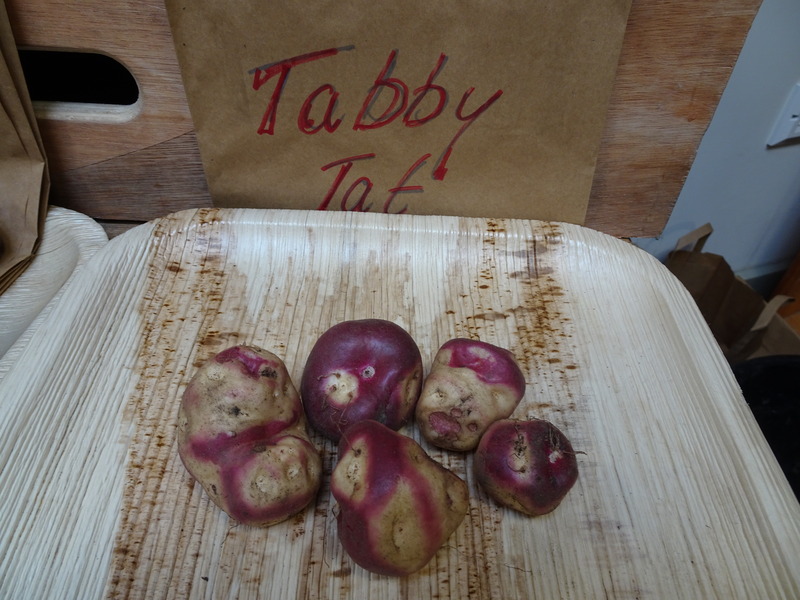 Andean potato newly named Tabby Tat. 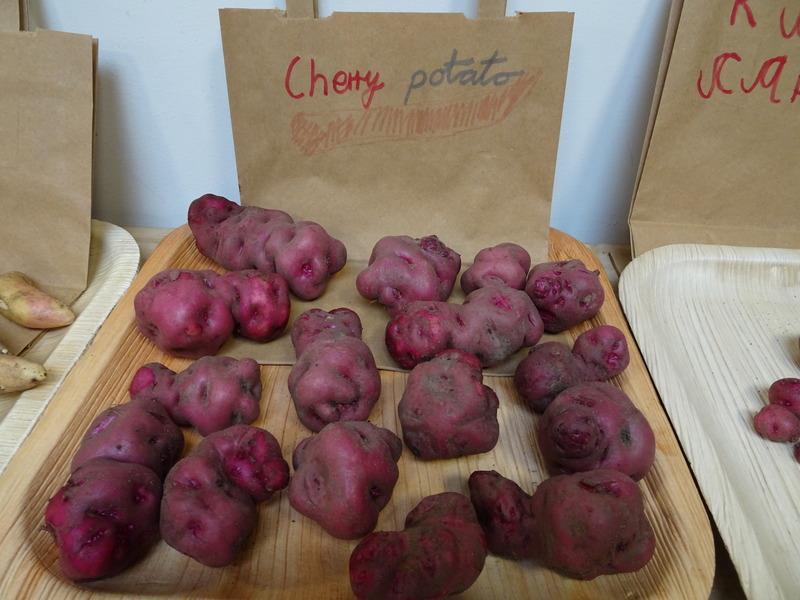 Andean potato newly named Cherry. Andean potato newly named Zebra. fantastic display they look really good to eat, i want to grow some of these in my garden, are some of them salad potatoes because that is what i want.